It's officially summer. I'm sure many of you have been feeling it for weeks, but here in the PNW, summer takes a little longer to kick in. Today was actually the hottest day of the year so far, 85 degrees! Don't get me wrong, I love the sun. But anything over 75 degrees I start realizing I have no summer clothes, I'm sweating and probably burnt. But I'll stop complaining, because with summer comes BERRY SEASON. YESSS. 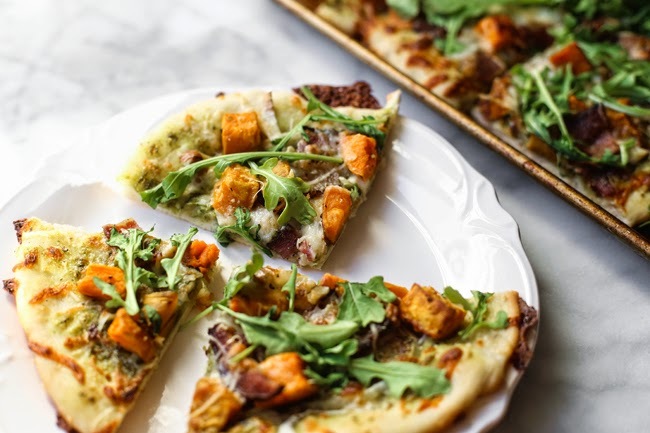 The real name of this post should be, "Sweet Potato, Bacon, Chicken, Onion, Walnut, Pesto and Arugula Pizza." But, for some reason it just didn't have the same ring. 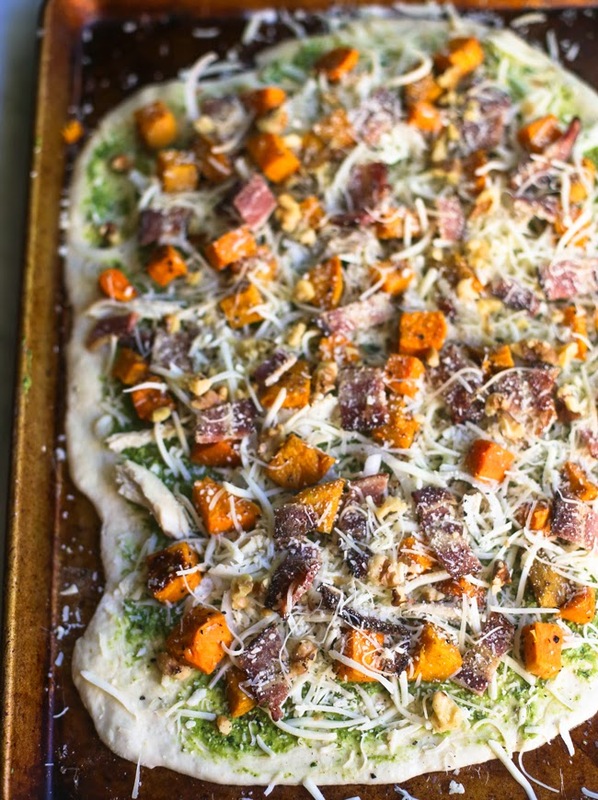 Instead, I chose to focus on the stars of this pizza: sweet potato, bacon, arugula and pesto. On Sunday, Tommy and I almost ate the entire thing...it was that good. 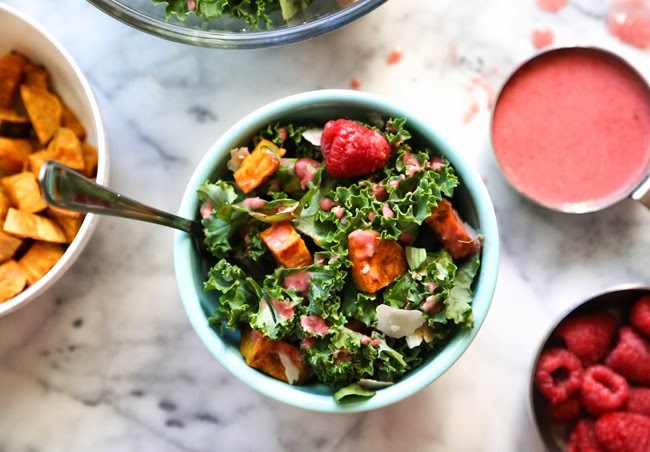 The sweet potato + bacon + pesto combination is crazy delicious; it's slightly sweet, salty, and creamy. 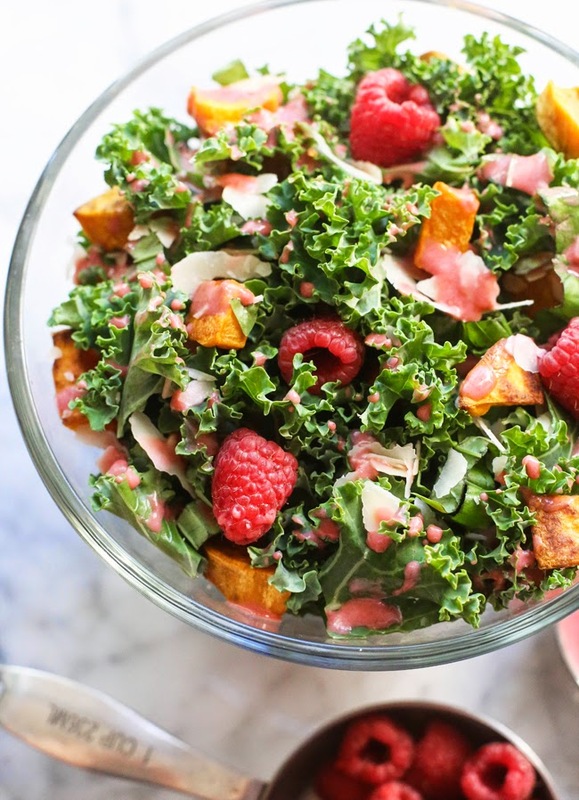 Then throw in some crunchy walnuts, onions, and spicy arugula? Yep, eating the whole pizza.